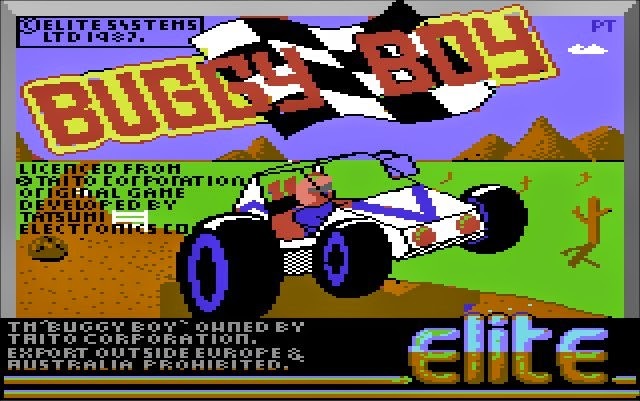 The Commodore 64 had some stand-out driving games, but one of my fondest racing gaming memories is from Elite System’s conversion of the arcade hit Buggy Boy by Taito. 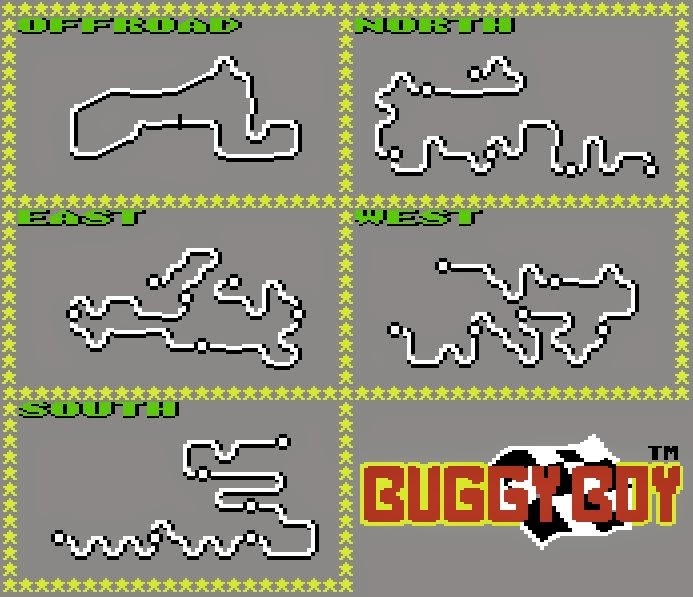 The game was a near perfect replica of the original arcade (minus the big fancy buggy graphics), and featured 5 courses containing all sorts of obstacles. 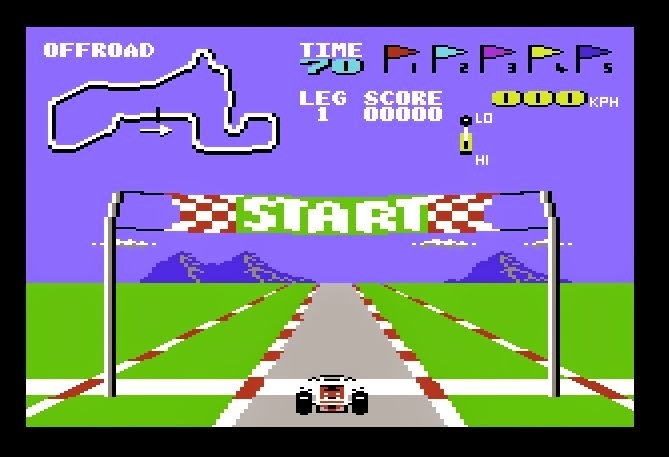 The aim of the game was to complete each course before the timer reached zero. You could gain extra time by passing under “Time” gates, and increase your score by collecting different coloured flags, and going under various score gates. If you collect the coloured flags in a particular order (as shown at the top of the screen), you could also gain additional bonus points. 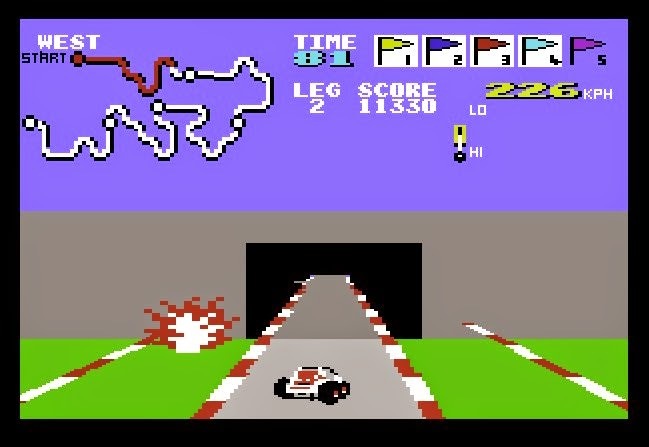 Along each route were numerous obstacles – some could help you in your goal to reach the end of the track, or ultimately cause you to crash, losing valuable time. Logs - These made you jump and were quite useful for jumping over obstacles. However, they could also cause you to crash if you timed the jump badly. 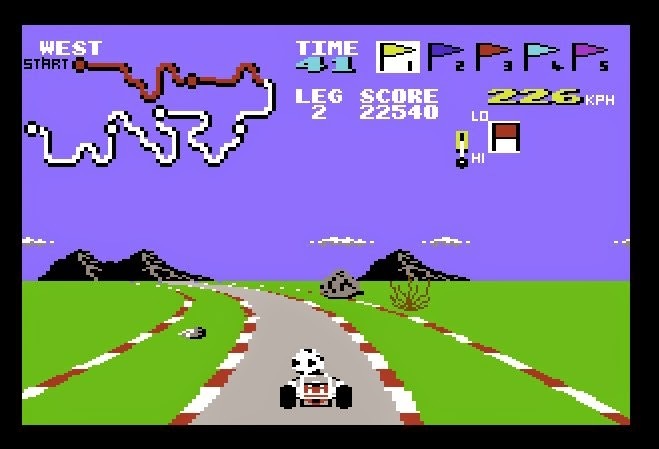 Stones – Running over these caused your buggy to drive on only two wheels. 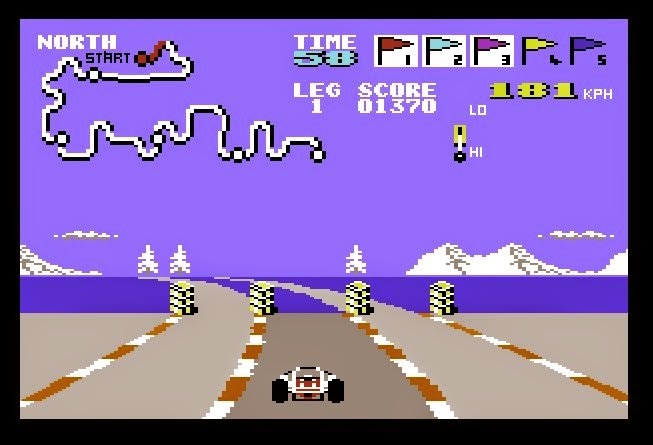 You had to be careful when hitting these because if your buggy ran over a log, it would crash! Brick walls and Boulders, fences and trees - These were obstacles to miss at all times. 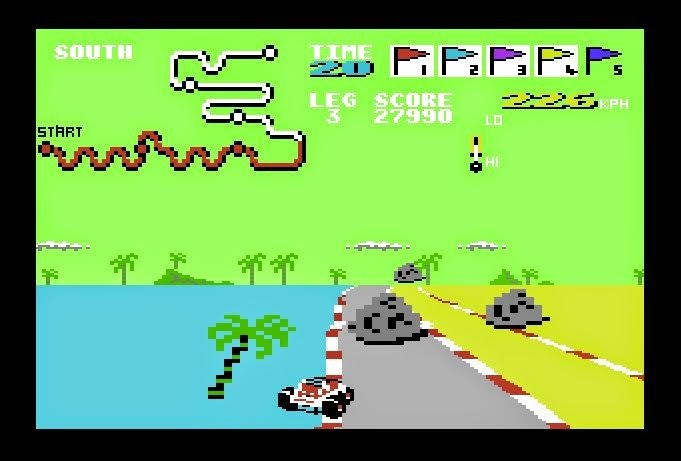 The game also featured water (avoid at all times), banked roads, narrow crossings over water, and tunnels. 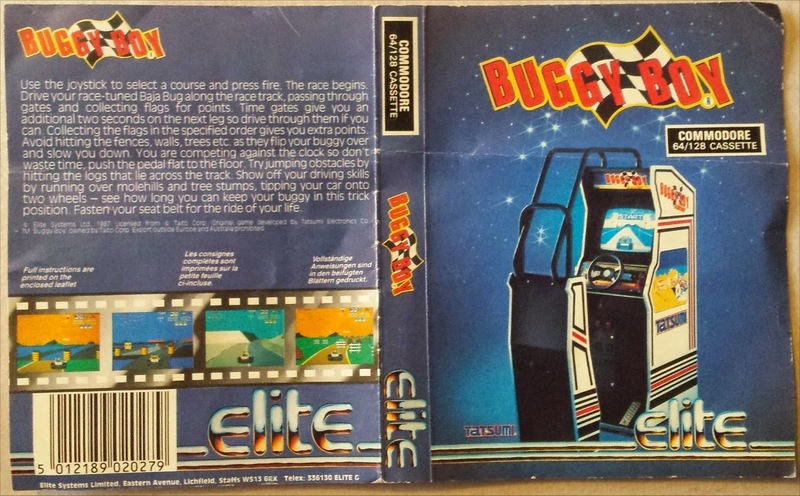 I feel sorry for the current generation of youngsters – Show them a game like this, and they’ll just turn away and go back to their Playstations and Xboxes…. 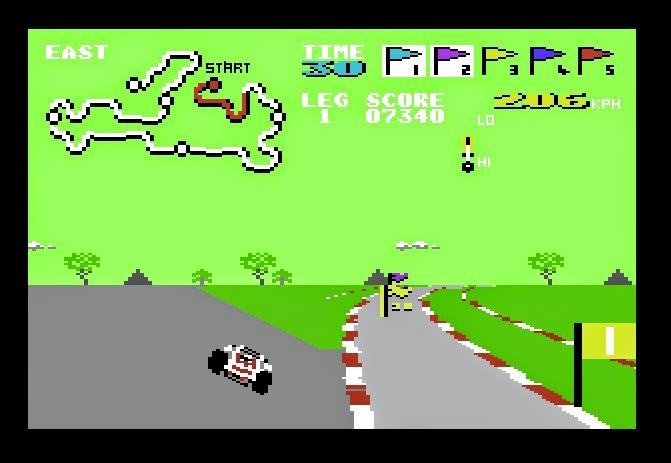 I could spend hours playing this. 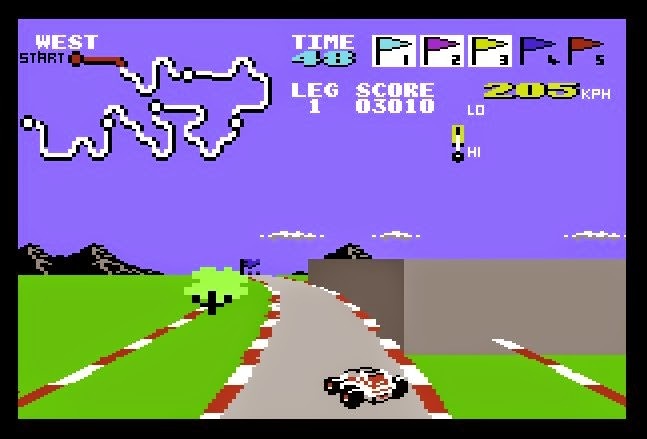 Graphics were simple but very good and colourful for the time the game came out (1987). 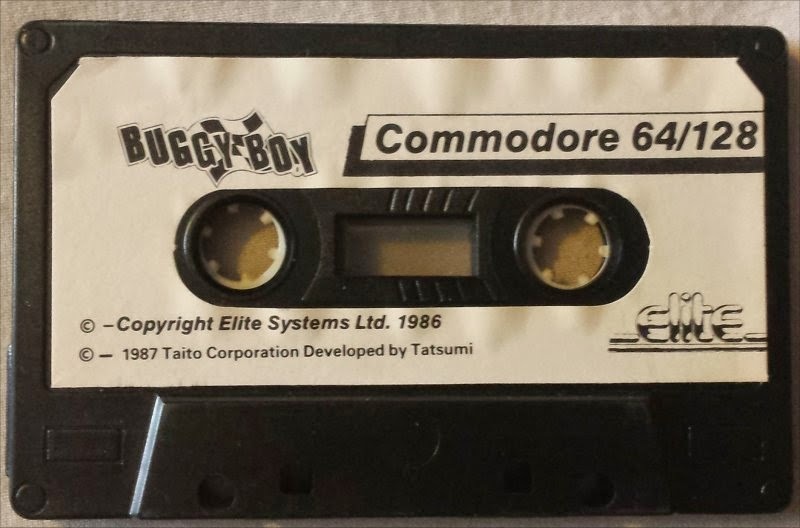 Sound was minimal as was the music, but overall the game was and still is fun to play. Here's another 360° panorama (the first for 2014!) taken today, on the 14th April 2014. 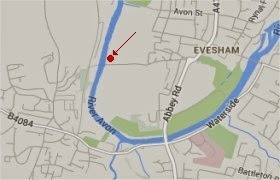 It was taken at one of the most picturesque places in Evesham - Hampton Ferry.